Improve your PC’s responsiveness and performance with this 2TB SanDisk SSD. Want your PC to have better load times, responsiveness, and performance? 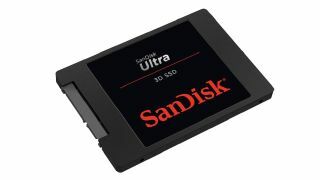 Amazon’s cut the price of the SanDisk Ultra NAND 2TB Internal SSD - it’s now £239.99/$279.99. This is a saving of £120/$44.61 and is well worth your attention because solid state drives are such a vast improvement over standard HDDs. In fact, we’d go so far as to say it’s the single biggest upgrade you can make to an aging PC. If you’d rather not spend as much and you live in the US, there’s a 1TB version instead for the lower cost of $124.99 (sadly it’s not reduced in the UK). If you’re looking to boost your system’s performance even further, check out our comprehensive gaming PC build guide.